«PERFECT» Technology - Prefabricated Concrete Boisclair et Fils inc. The manhole and the channel are now MONOLITHIC. The piece is made of high performance self-compaction concrete in order to extend its life of use. 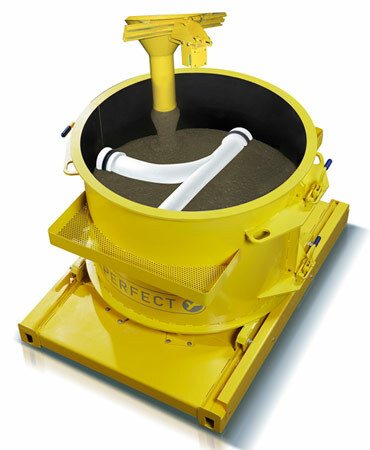 This process also provides protection against the infiltration of contaminants between the wall of the manhole and the channel since it is now manufactured in a single cast. The flow gradient is OPTIMAL. This new process rigorously follows angulation as a robot reduces the risk of error. Since the channel is smooth, it is no longer necessary to use an additional coating such as epoxy. The visual finish is IMPECCABLE. In fact, this process reduces the wear by abrasion. The finish is uniform and consistant. Improved management or EMERGENCIES and UNFORSEEN CIRCUMSTANCES. Fabrication is faster since the channel is cast at the same time as the manhole.